Whether you're short on time to prep a meal or looking for a treat to satisfy your sweet tooth, low-carb nutrition bars make a handy option. Look for ones that are low in net carbs -- which are digestible carbs -- but high in fiber and protein. While these bars are convenient, they're not as rich in nutrition as whole foods, so be sure to use them as an adjunct to your healthy low-carb diet plan rather than a replacement for all your meals and snacks. 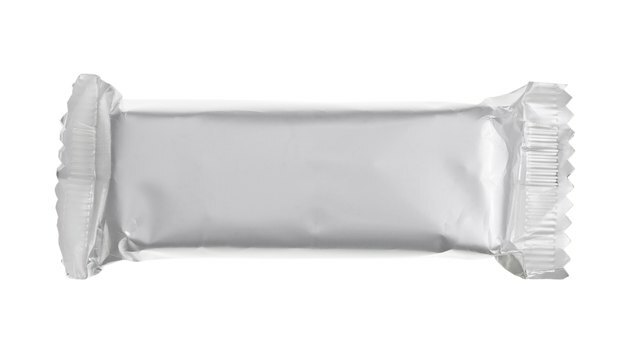 Many brands of bars contain sugar alcohols or added fibers, such as chicory root, that may cause gas and bloating, so if you have a sensitive tummy, check the ingredients label before choosing a bar. Atkins offers a number of low-carb nutrition bars, including both snack and meal-replacement bars that fit any level plan, even a 20-gram carb program. Atkins Harvest Trail bars are granolalike snack bars with 4 to 7 grams of net carbs, 9 to 10 grams of fiber and 8 grams of protein per bar. If you're looking for a replacement for your midday chocolate bar, Atkins Caramel Chocolate Peanut Nougat Bar, Caramel Chocolate Nut Roll or Caramel Double Chocolate Crunch Bar might help kick your craving. Each of these snack bars has only 3 to 6 grams of net carbs. They're also a better source of fiber and protein than your chocolate bar, with 6 to 11 grams of fiber and 7 to 9 grams of protein. Higher in protein than the snack bars, Atkins meal-replacement bars are still low in carbs with just 2 to 4 grams of net carbs per bar. They also come in candylike flavors such as Chocolate Chip Cookie Dough Bar and Chocolate Peanut Butter Bar. Fiber content ranges from 6 to 14 grams, while the protein weighs in at 13 to 17 grams. Atkins isn't the only game in town when it comes to low-carb bars. Quest Nutrition also offers a variety of options that might suit your tastes and carb limits. The QuestBar comes in a number of different flavors, including Chocolate Chip Cookie Dough, S'Mores, Coconut Cashew and PB and J. The nutrition information varies depending on the bar flavor, but it ranges from 4 to 7 grams of net carbs, 13 to 15 grams of fiber and 20 to 21 grams of protein. NuGo offers a number of different types of nutrition bars, but the NuGo Slim and Smarte Carb bars make the better choices for those on a low-carb diet. The Smarte Carb bar is lower in carbs, with 1 to 2 grams of net carbs. Each bar also has 5 grams of fiber and 16 to 20 grams of protein. Flavors include Peanut Butter Crunch and Chocolate Black Cherry. The NuGo Slim, which comes in Crunchy Peanut Butter and Raspberry Truffle varieties, has 5 to 6 grams of net carbs and 15 to 17 grams of protein. And it's a slightly better source of fiber than the Smarte Carb bar with 7 grams. Making your own nutrition bars gives you more control over the ingredients. No-bake bars are made from a variety of ingredients, including protein powder, almond flour, oats, nuts and seeds, flaked coconut and low-carb nondairy milk such as almond milk. To satisfy a chocolate fix, unsweetened cocoa powder, mixed with protein powder, peanut or almond butter, almond milk, sugar substitute and vanilla makes a chewy, portable low-carb bar. If you're on a higher-carb plan, you might whip up a peanut butter protein bar made with chickpeas, brown rice syrup, protein powder and chocolate chips. Low-carb energy balls, which are healthy bite-size snacks with similar ingredients, also make good alternatives to store-bought nutrition bars. The carb count for your homemade bars or energy balls will vary depending on the ingredients you use.